To review all new films being released. Aside from being a film buff, I have specialized in film and television in university and I have written and directed two short films, so writing reviews on films helps me learn more about what makes a film good or bad and to study all the different aspects of a film. In addition, I really like writing in general and would enjoy a career in writing film reviews. I always enjoy getting feedback from people on my film reviews, so I do enjoy having an interactive community. I’m open to different interpretations, or opinions, on a film. 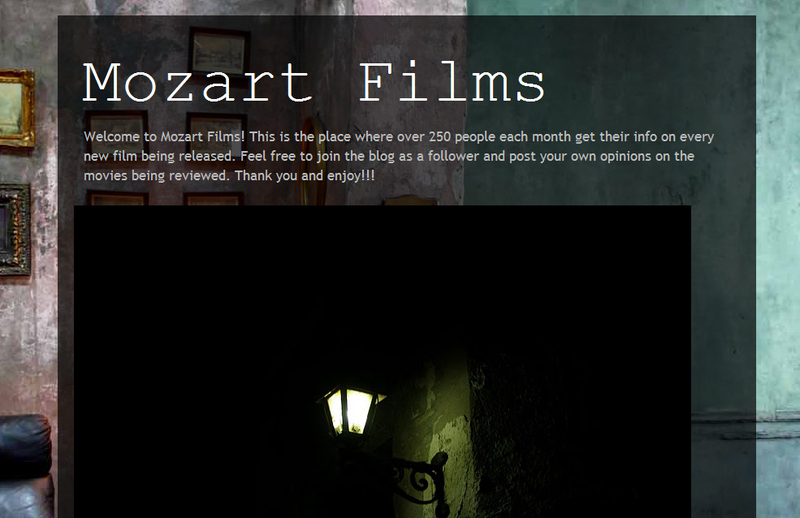 Mozart Films has been active for almost 4 and a half months. On average, I post about 1 film review every week. I found LAMB by accident through a movie blog, but I do not remember which one. Name another two of your favorite films?